These oily contaminants that are left behind can cause your carpet to dull and fade. As the contaminants build up they become more difficult to remove. Regular deep cleaning of the carpet can prevent the excessive build up of contaminants and keep your carpets looking fresh and clean. Regular cleaning of your carpets also helps improve the air quality in your home by removing pet hair, dust mites, and other allergens that thrive deep in the carpet. Move small items and breakables from the area to be cleaned. Get ready to be amazed by the Rotovac. Moving Furniture: When necessary we will move and replace small furniture in its original position. 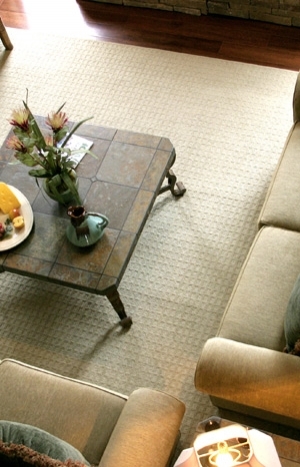 Pre-treatment: We treat spots and stains as necessary and apply a cleaning solution to the entire carpet. Cleaning: We use our state-of-the-art Rotovac equipment for a fast and thorough deep cleaning of your carpet. To decrease drying time try to keep the room temperature about 72 degrees and use fans to circulate the air around the cleaned carpet.